for over twenty years. If you or your organization are considering a solar, renewable or energy efficiency project, and you have questions, contact Sky Power today for a free initial consultation. 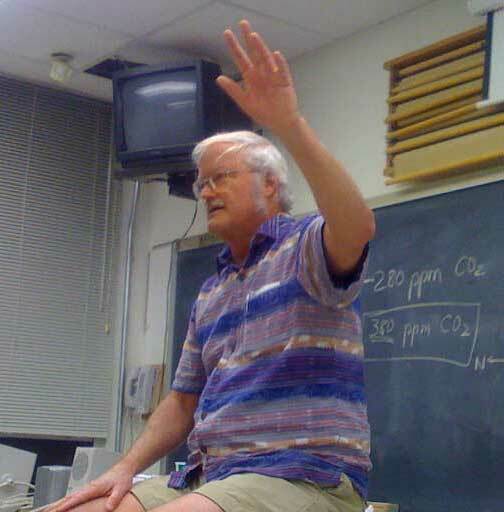 Known fondly by many of his students as “Cosmic Joe”, a moniker he first received as a guest teacher on Dr. Ken Norris’ legendary UCSC Field Quarter, Joe Jordan has been teaching and inspiring people of all ages for over thirty years with his “tall true tales of the universe” and the “magic of physics in nature”, as well as mentoring and ushering many into successful professions in the solar industry. Around the country, Joe has successfully developed and taught NABCEP programs; Wind, Solar, and Small-Scale Hydro system design and installation; green jobs training for at risk youth; solar schools for a sustainable planet; and green jobs reskilling; in addition to serving as a curriculum developer and consultant for both online as well as text and classroom based courses in math, physics, computer science, and renewable energy. He has been a featured keynote speaker at West Coast Green, Environmental Volunteers at The Stanford Faculty Club, the National Science Teachers' Association, and TED. Some of the organizations he has recently worked with include Solar Living Institute, Solar Energy International, Heatspring, CACTUS, Boots on the Roof, Center for Employment Training, Pacific Technical Institute, Black Rock Solar, San Francisco State University, and Allied Schools Solar and Green Career Training. Joe teaches a number of popular workshops and short courses for people of all ages, in astronomy and physics-in-nature, as well as in renewable energy and climate change solutions. For his current schedule, check the Coastanona >activities calendar or the UCSC Recreation website for Joe's next Stargazing evening at those venues. Contact Joe if you would like to arrange a Sky Power workshop for your organization.